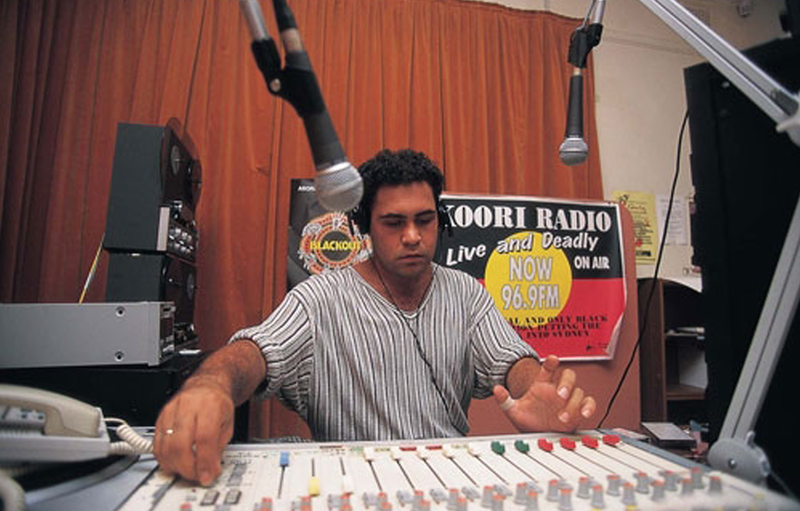 For 20 years Gadigal Information Service (incorporating Koori Radio 93.7FM) has been broadcasting the news and views of Aboriginal Australia from its home in Redfern. From Keating’s Redfern Speech to The Apology; from the Redfern riots to Mabo’s victory and the ongoing life of The Block, all the iconic moments have been captured from the streets. Black voices and song, continue to ring out across Australia. Join Gadigal Information Service and Carriageworks as we celebrate 20 years of this ground breaking community organisation in an exhibition that combines personal archives, film works, radio recordings and photography. Presented by Carriageworks and Koori Radio.